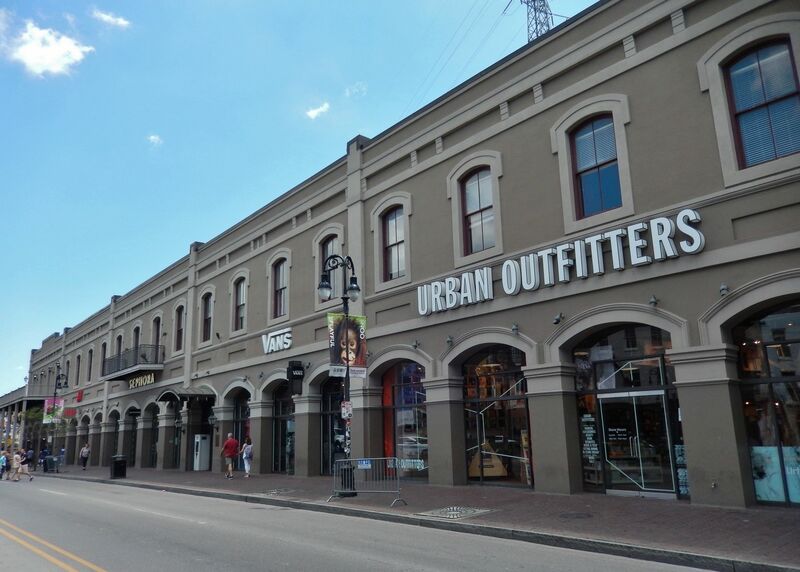 Constructed in 1868 by renowned New Orleans architect/builder Henry Howard, this building was comprised of six bonded warehouses, serving the thriving maritime commerce of the French Quarter Riverfront throughout the late 19th and early 20th centuries. 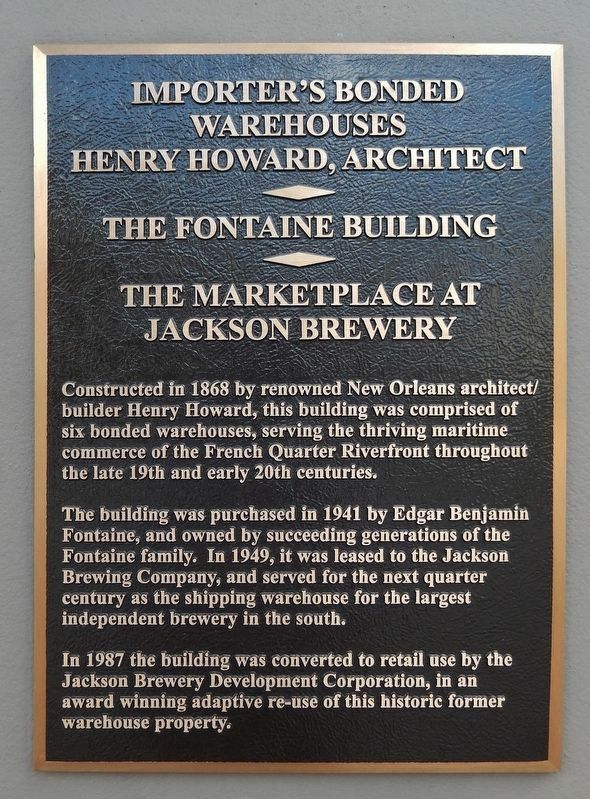 The building was purchased in 1941 by Edgar Benjamin Fontaine, and owned by succeeding generations of the Fontaine family. In 1949, it was leased to the Jackson Brewing Company, and served for the next quarter century as the shipping warehouse for the largest independent brewery in the south. In 1987 the building was converted to retail use by the Jackson Brewery Development Corporation, in an award winning adaptive re-use of this historic former warehouse property. Location. 29° 57.275′ N, 90° 3.863′ W. Marker is in New Orleans, Louisiana, in Orleans Parish. Marker is on North Peters Street north of Conti Street, on the right when traveling north. Touch for map. Marker is a large metal plaque, mounted at eye-level, directly on the subject building, roughly in the center of the block. Building and marker are directly across North Peters Street from Bienville Place park. 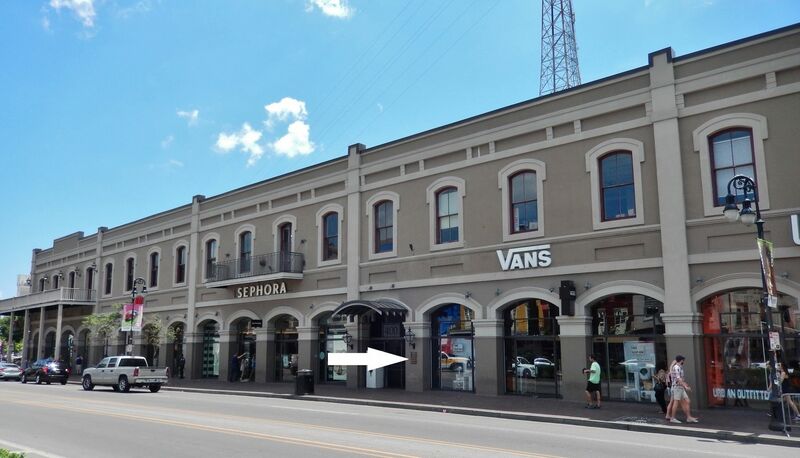 Marker is at or near this postal address: 400 North Peters Street, New Orleans LA 70130, United States of America. Touch for directions. Other nearby markers. At least 8 other markers are within walking distance of this marker. 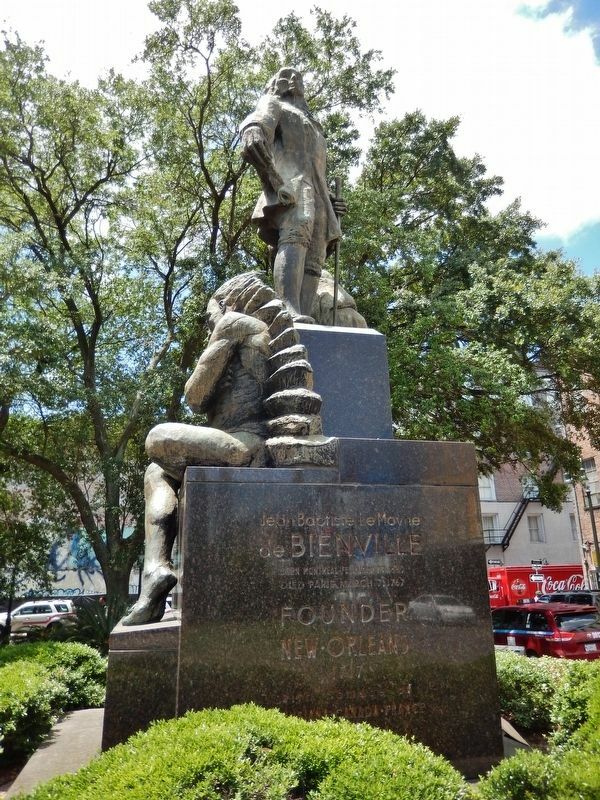 Bienville Monument (within shouting distance of this marker); Jean Adrien Delpit House (about 400 feet away, measured in a direct line); Pierre Maspero’s Exchange (about 500 feet away); Work Begins on New Orleans, Spring 1718 (about 500 feet away); Louis J. Dufilho (about 600 feet away); U.S. Branch Bank (about 700 feet away); Judge Fred J. Cassibry Square (approx. 0.2 miles away); Edgar Degas House (approx. 0.2 miles away). Touch for a list and map of all markers in New Orleans. 1. 5 Iconic Henry Howard Buildings and Homes in New Orleans. 2. The legacy of Henry Howard, one of New Orleans' most influential architects. 3. Henry Howard, the Forgotten 19th-Century Architect of New Orleans. More. Search the internet for Importer's Bonded Warehouses - Henry Howard, Architect. Credits. This page was last revised on April 2, 2019. This page originally submitted on June 5, 2018, by Cosmos Mariner of Cape Canaveral, Florida. This page has been viewed 69 times since then and 16 times this year. Last updated on March 30, 2019, by McGhiever of St Paul, Minnesota. Photos: 1, 2, 3, 4. submitted on June 5, 2018, by Cosmos Mariner of Cape Canaveral, Florida. • Andrew Ruppenstein was the editor who published this page.